Real Kashmir FC moved to the top of the table for the first time after being held by East Bengal to a 1-1 draw in an I-League encounter in Kolkata on Friday. 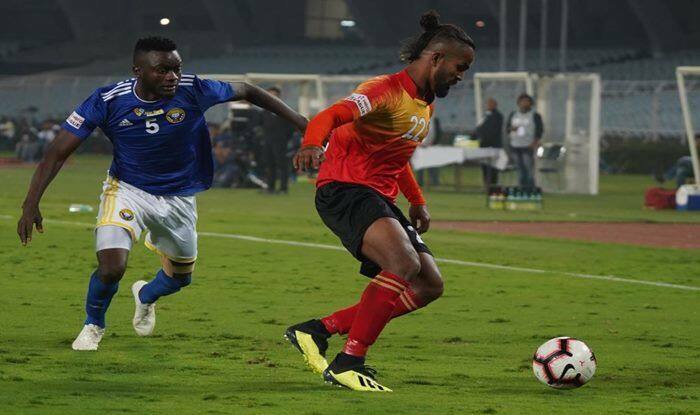 East Bengal’s Lalramchullova put debutants Real Kashmir in the lead with an own goal (46th), much to the disappointment of a sizeable number of fans at the Viveknanada Yuva Bharati Krirangan. However, Jobby Justin (56th minute) saved the hosts the blushes and helped them move to 16 points from nine games. The David Roberton-coached Kashmir side edged out Chennai City FC, also on 18 points, on a superior goal difference to go top with 18 points in their kitty. East Bengal moved to fourth spot with the result, two points off the top albeit with a game in hand. Neroca FC, placed third, are also on 18 points after beating Mohun Bagan 2-1 earlier in the day. It was a colourless first period with chances few and far between. In the 20th minute, Lalrindika Ralte sent a long ball for Jaime Colado who in turn tried to set up Justin inside the area but visiting goalkeeper Bilal Husain Khan intercepted in the nick of time. At the other end, Kofi Tetteh had a chance from close but East Bengal custodian Rakshit Dagar kept him at bay. One minute into the second half, Lalramchullova accidentally put the ball into his own net after visitors’ Surchandra Singh crossed inside the area. Real Kashmir’s joy was shortlived though as in-form Justin stabbed home a rebound after Kassim Aidara’s initial attempt was saved on the goal-line by Danish Farooq. Both teams tried to get the winner after that but failed as the match ended in a stalemate.